Boeing Stearman N2S-3, Serial Number 75-6488 was built for the US Navy and delivered in August 1942 with a Continental W670 220hp engine. 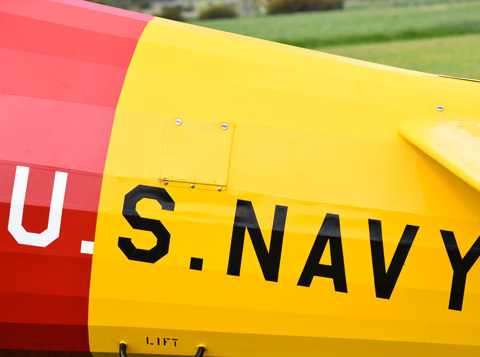 It was allotted the Bureau Number 05314 and taken on charge at Naval Air Station Grosse Ile, Detroit which at that time was the largest US Navy training base and almost exclusively used for the training of the Royal Air Force and Royal Navy pilots. This aircraft is a rare instrument trainer and has the fittings for a ‘blind flying hood’ in the rear cockpit. As such it would have mainly been used to keep the American instructors current on their instrument proficiency and would have seen little if any use from students. 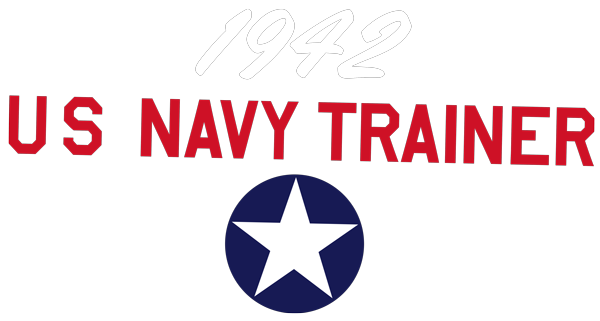 In 1944 it moved to NAS Norman in Oklahoma and was stricken from the Navy in October 1946 receiving the civil registration N61210 from the Federal Aviation Administration. 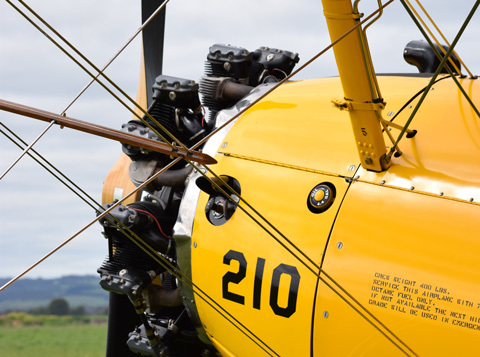 After five years as a private aircraft, it was acquired by ‘Big Horn Aerial Spraying’, who converted it in to a Crop Duster, fitting a 300hp Lycoming engine and a CSU propeller. 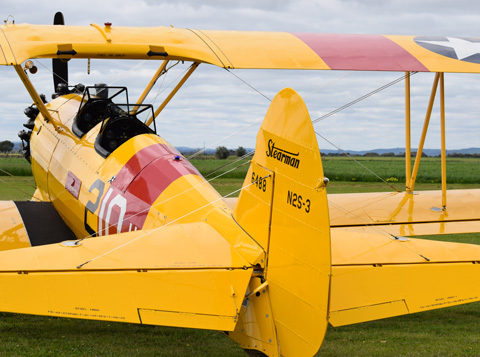 This historical aircraft is available to all through us at Adelaide Biplanes. 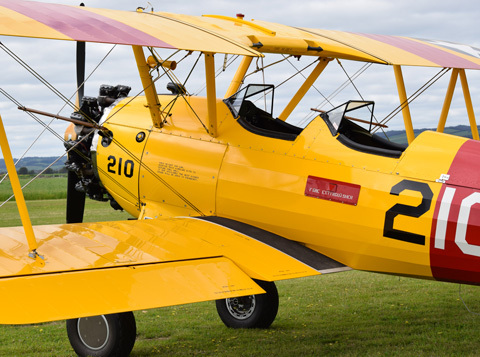 You can experience hands on flight with a Trial Instructional Flight in this fantastic old warbird! 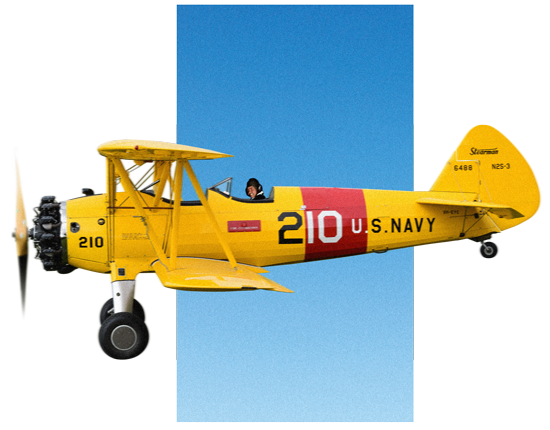 If you desire, then some gentle, graceful positive ‘G’ aerobatics are certainly an option. This may be the only ‘Boeing’ aircraft that you are able to fly yourself! Treat yourself with a flight in the Stearman.